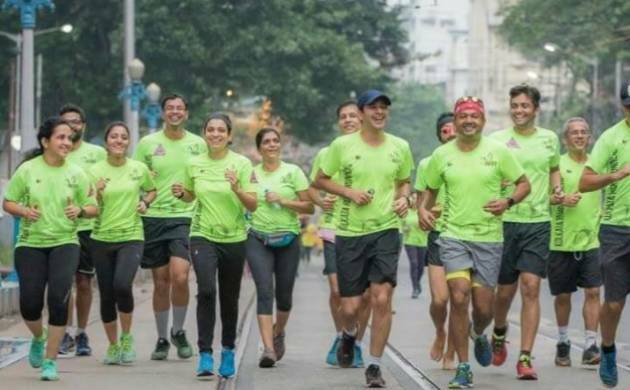 Bansal joined a Kolkata based running group called Kolkata Road Runners, or KRR and the high blood sugar level started decreasing and came down to 120 after few days. For him, running was a “life-changing” experience. Whenever we talk about Kolkata, the first thing which comes to our mind is Rosogolla (a traditional Bengali sweet) but food lover Bengalis are changing with time. Every morning, hundreds of Kolkata residents assemble in Victoria, Read Road, Eco Park, and Salt Lake areas and run together. It’s relatively a new and healthy way of life where Kolkatans are participating in several physical activities. People have become more conscious towards their health. Being the city of sweet lovers, Diabetes poses a major threat to Kolkatans and the deadly disease is one of the reasons they are changing their lifestyle habits. More cases of people being diagnosed with diabetes are surfacing and doctors suggest patients to opt for running or other light exercises in order to keep their blood sugar in control. In Kolkata, there are several running groups that motivate people to become a member and start leading a healthy life. 45-year-old Niraj Bansal, a resident of Salt Lake was diagnosed with diabetes. His blood sugar had reached to 160. Doctors suggested him to start going for morning walk as it helps in keeping the blood sugar in control. Bansal joined a Kolkata based running group called Saltlake Runners and the high blood sugar level started decreasing and came down to 120 after few days. For him, running was a “life changing” experience. According to latest report, India stands second in the world with around 7 crore people suffering from diabetes. “Diabetes is a life style related disease, there was a time when we used to get cases only from urban areas but now we are getting several cases from rural areas as well which is alarming,” says Dr. Sujay Chanda, a Kolkata based Diabetologist. In another case, 45-year-old Ashok Kundu had gone through a brain surgery in 2005. After the surgery, he was advised to keep his blood sugar and blood pressure level in control. “I had to lose some weight, I was told by the doctors that if I don’t lose weight, I can get affected with diabetes any time. So, started running. I now feel more energetic, I feel young,” says Kundu. “Running has not only controlled my sugar level but it has also given me another chance to live life in a healthier and better way,” he added. Not only in India, people across the world are fighting against diabetes and physical exercise is helping them more than medicines. 41-year-old, Dr Nabanita Bose, an Oncologist by profession shifted from Kolkata to UK in 2005. After few days, she was diagnosed with Type 2 Diabetes Mellitus, Psoriatic Arthritis and Hashimoto’s Thyroiditis. She was supposed to shed some extra kgs of weight. And she did that. From 78 Kg in 2013 to 52.5 kg in 2016, she lost 26 kg weight in four years by controlling her eating habits and running off course. Some run for fun but some definitely run to live a better life, life which is free from diseases. On this World Diabetes Day, let’s pledge to start running and doing other physical exercise to lead a better, healthy and sweet like Rosogolla life.